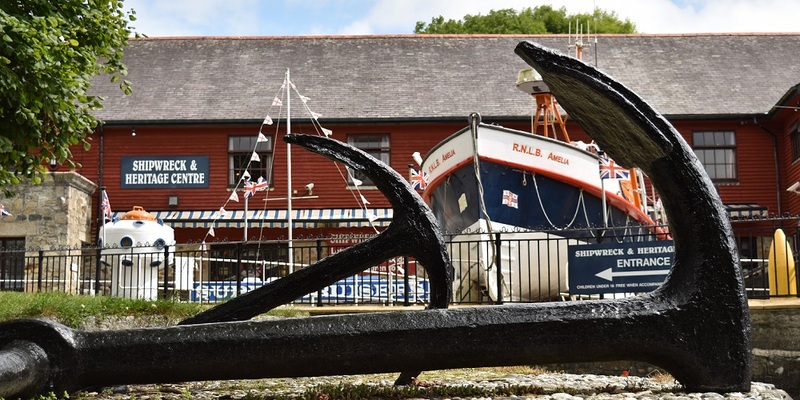 My daughter loves the Charlestown Shipwreck Centre and asks to visit whenever we’re in Cornwall. Luckily, children under 10 go free, so it’s not an expensive request! It is also mainly indoors, so a great option if it’s a rainy day. It a fascinating place, with the largest private collection of shipwreck artefacts on display in the whole of Europe, so I always find something new to look at when I visit. There are items from over 150 wrecks dating back to 1715, not to mention one of the country’s largest collections of diving equipment, including suits used by treasure seekers and the Navy. If you’re taking the children, remember to pick up an ‘I Spy’ treasure hunt leaflet at reception on your way in. They’ll need to answer riddles as you go round the centre, and look out for the little model pirates hidden all about, in order to collect a prize at the end. It’s a great way for the whole family to learn while having lots of fun. When you arrive at the Shipwreck Centre, you are immediately greeted by a real lifeboat in the garden, which sets the scene brilliantly. The RNLB Amelia was last stationed at Scarborough and is complete with all the original equipment. You can clamber aboard and listen to the history of the vessel. As part of your visit to the Shipwreck Centre, you’ll have the chance to walk through the disused tunnel that would have once transported clay to the docks to be loaded onto ships, back when Charelestown was an important part of the clay industry. The old tunnel will bring you out onto a viewing gallery that overlooks the little harbour with its row boats and riggers, which is one of the location where the BBC’s Poldark was filmed – definitely worth a photo or two. Inside the Shipwreck Centre there’s plenty more to discover. From the tunnels, you enter the audio visual theatre where you can watch a video all about Charlestown harbour and the clay industry. Then continue on the tour through the various exhibits about Charles Rashleigh, who constructed the harbour, and life in Charlestown including the blacksmiths and cooperage. You can explore real life treasure like coins and old spoons embedded in great chunks of sand dug out from the sea bed. My daughter loves looking at these and at the model divers, as well as learning Morse code using the interactive displays. There’s a gorgeous little ice cream shop just outside the Shipwreck Centre, selling delicious homemade ice cream that will make a perfect end to your day out at the Shipwreck Centre.